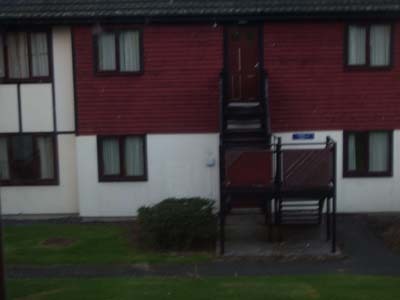 This is an update on my earlier post on: Haven Craig Tara, Ayr Scotland – Awful Holiday Accommodation 2007. I wrote a letter to Haven and British Holidays customer services to complain about this. I have now received a reply, but that reply is far from satisfactory and barely addresses most of the issues. There was some kind of apology that we hadn’t seen Haven in its best light, but other than that little reassurance that this is going to be dealt with and resolved for future customers. On the stairs they agreed that they weren’t ideal for a small child. They however said that if we had said that I had someone that was pregnant they may have been able to accommodation with easier access. My concern was just as much over the child, and they knew how old our daughter was from the original booking form. I also saw several other families with young children that had been allocated top floor apartments. The fact is that had this been mentioned at the time of the booking then I would not have booked in one of these apartments. In my opinion safety should be given a higher priority and the upstairs apartments should not be allocated to families with young children. They said that they permit smoking in all their accommodation and it would not be possible to enforce non smoking accommodation. I find that a bit odd as many other caravan sites and hotels etc. are able to apply no smoking policies or to identify smokers from non smokers. It may sound like a rather trivial thing, but it wasn’t for us as the smell in the apartment was completely over powering. It was so strong we felt sick when we first went in. They also said that they were going to contact the maintenance department of this particular site and show them the photos of the stairs. They did not address any of the other points and in particular for us the fact that they class this as Silver Standard accommodation. If this really is the case then I would hate to see their Bronze or Budget accommodation, as if it is any worse than the Silver accommodation we were provided then I would not like to have to spend a day in it, let alone a week. I could have understood this if it was just one apartment that was in bad condition, but we were moved once and the second one wasn’t much better. Fortunately the following week we went to a different site in a caravan and the standard of the accommodation was to the other extreme and was a delight to stay in. Has anyone else had any good or bad experience with either Haven or any other caravan sites. Please leave a comment and let others know. This entry was posted on Monday, August 27th, 2007 and is filed under Babies, Children, General, Holiday, Tourism. You can follow any responses to this entry through the RSS 2.0 feed. Both comments and pings are currently closed.